A leading conference for search marketers, Search Marketing Expo (SMX) takes place at multiple international locations throughout the year. Some of the Kiosk team made the trip to San Jose for SMX West to meet like minded marketers and discuss the latest SERP changes, Google Analytics, and more. Here are a few highlights of the day. Behshad Behzadi, Director of Conversational Search at Google described the future of search as “building the ultimate assistant.” One way Google is looking to achieve that goal is through voice search. According to Behshad, with users constantly on the go, they’re increasingly turning to voice search, with any stigma around talking to your phone in public seeming to have faded away. Two years ago the error rate for voice search was 25%. Now it is down to 8%. While Google has been focusing on voice search for English, they’re expanding to other languages as well. Christine Churchill from Key Relevance highlighted best practices for keyword research and ad relevancy. Christine’s top recommendation? Never forget the user’s intent when conducting keyword research. Search queries fall into three major buckets, informational, transactional and navigational, with majority being informational. Your ad copy should reflect this as you build creative to meet different intents. Shari Thurow, who we’ve run across before at ClickZ, is an authority in User Experience (UX) and SEO. Her presentation illustrated some of the points that Churchill laid out. She emphasises designing for the end user first and for search engines second. One simple UX test for your web page is to run a five second usability test. Show someone a webpage for five seconds, then take it away and have them write down everything they remember. If the user does not remember what you wanted to convey with that page, you should seriously consider redoing the design and/or content. To get the best results, she recommends not telling the user in advance that you are doing this, and not running the test on anyone involved in the project. 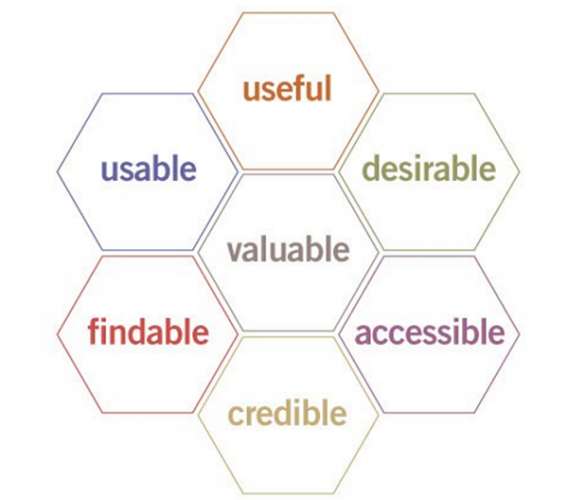 For further reference on good UX she recommends referring to Peter Morville’s UX honeycomb, which describes seven facets of the user experience. Peter’s explanation of the honeycomb is well worth a read. One of the sessions presented by Google covered the challenge of counting conversions across devices. Cross-device conversions tend to take longer from first inquiry to lead completion. To accurately measure these, be sure to enable cross-account conversion counting. It’s also important to use the same tag for mobile and desktop, and avoid conditional firing of tags. When designing and coding mobile apps or websites, consider cross-device conversions upfront, so you can build a way to easily measure these. By adding a cross device conversion column, you should be able to figure out the desktop uplift vs. mobile uplift. Meanwhile, on the the expo floor we were able to meet some new faces on the SEM scene, and catch up with some companies we work with, like DialogTech, WordStream and SEMRush. 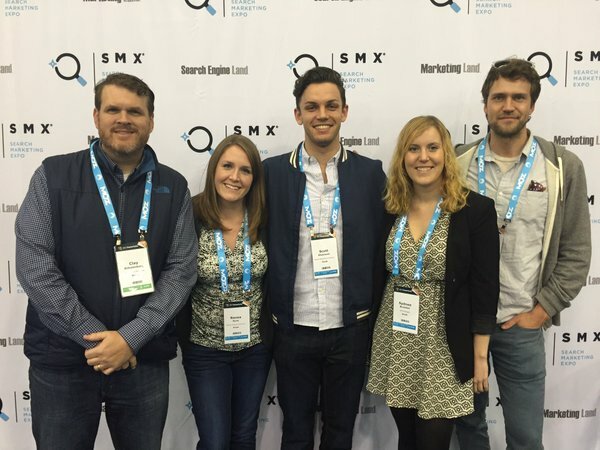 Overall, day 1 at SMX West was informative and engaging, and we’re excited for two more days of knowledge gathering and sharing.